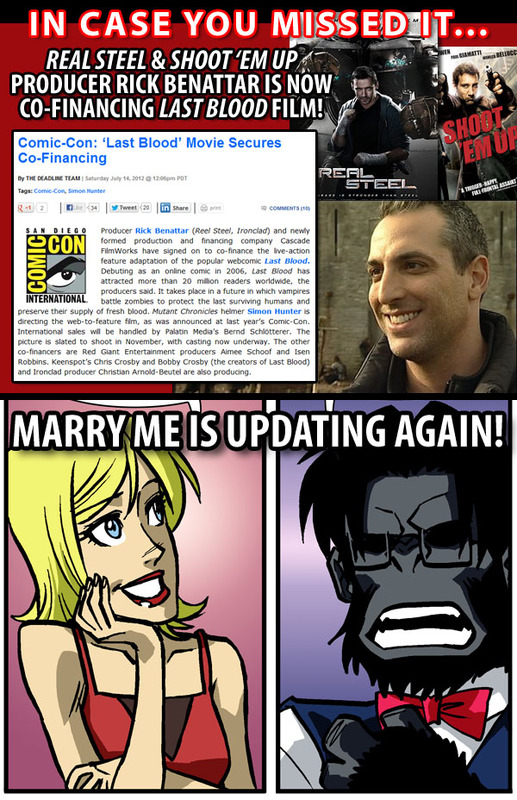 * “Real Steel” and “Shoot ‘Em Up” producer Rick Benattar is now co-financing the “Last Blood” movie! Read about the details here. Wish we could say more about the status of the movie, but we can only reveal what is public knowledge. * If you’re a fan of “Marry Me” as well, you should know it is now updating with new pages! Go check it out!